As the world becomes more interconnected through the various digital messaging options available to them, businesses have to make sure they deliver on those expectations in order to ensure customer satisfaction and long-term loyalty. Zendesk announced integration with WhatsApp on Aug 1, 2018. It allows businesses to manage customer service interactions and engage with customers directly on WhatsApp. The integration connects conversations between businesses and their customers on WhatsApp within Zendesk. Zendesk is a suite of supporting apps that help transform customer service into agents for customer retention and lead source. Zendesk Support puts all customer interactions in one dynamic interface for an efficient, seamless process. It allows customer interactions across phone, chat, email, social media, and any other channel. It is a powerful and flexible customer service and engagement platform scaled to meet the needs of its customers. 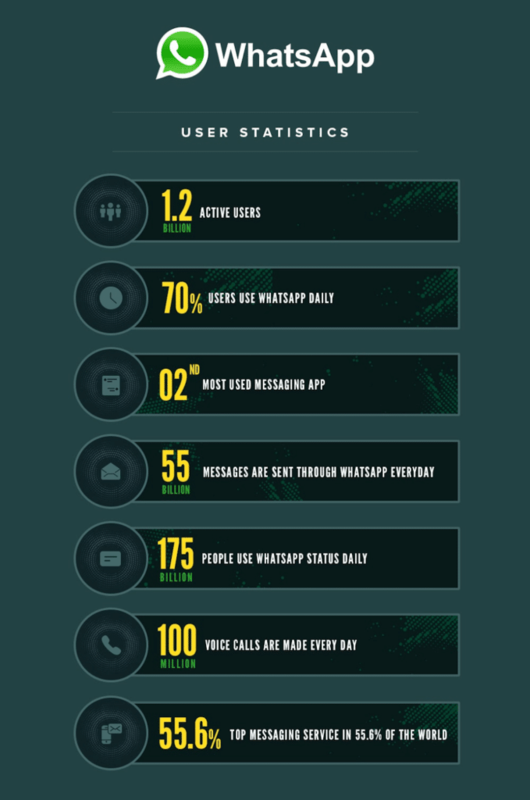 WhatsApp is one of the most popular communication channels worldwide. It has a customer base of around 1.5 billion users around the world which is enormous. Every business entity wants to utilize this resource for easy and effective communication with their customers in any part of the country. Customers also want to connect and interact with the businesses as easily as interacting with their friends and family. Both parties need to communicate easily and hassle-free to maintain a good and long term relationship between them. WhatsApp has quickly become the messaging app of choice, particularly in the Asia Pacific and Latin America. With this new integration, it is helping businesses stay connected with their customers globally. Zendesk and WhatsApp are now able to offer a faster and more convenient mode of communication. It helps to handle more inquiries daily than normal with the integration of WhatsApp and Zendesk, which is much faster than traditional methods. It helps to easily manage customer conversations in one place directly with Zendesk. Zendesk now has the capability to help businesses around the globe put their customers first by better managing inquiries using the WhatsApp integration. With Zendesk integration with WhatsApp Business Solutions, customers can opt-in to receive notifications from businesses on things they want updates on–such as purchase receipts, shipping changes or flight times. Once enable the WhatsApp integration, customer requests will become tickets within Zendesk Support and can be handled with the same support workflow used for other channels. Agents can respond directly through WhatsApp from within Zendesk Support, and can even drop in rich media–such as images–right into the conversation. It helps to interact with customers easily by using tools to automate, sort, and quickly respond to customer messages. WhatsApp provides a lot of opportunities for online and mobile marketing, especially for small businesses and medium businesses. WhatsApp is a great tool for customer support simply because of its wider reach and customers prefers it over any other means as it is easy to access. If an agent clicks on click to WhatsApp button in the Zendesk CRM CTI then WhatsApp is sent to the customer and CRM/Google Apps. Integration captures data in the Google Sheet/CRM. If company gets an SMS /WhatsApp message from the customer then a new lead is created in the CRM. Auto creation of tickets on incoming calls and WhatsApp messages – The CRM Phone Integration enables the agent to create a new ticket or update an existing one on an incoming call or a WhatsApp messages to the company. Click to WhatsApp – With Zendesk WhatsApp integration now can send customised WhatsApp messages to customers. Whatsapp Business App allows users to create a business profile with helpful information for your customers like your address, phone number, business description, email address, and website. The tool lets you save and reuse messages frequently send so it can easily answer common questions in no time. It can access important metrics such as how many of the messages were successfully sent, how many were delivered and read etc. WhatsApp Web allows to use the app on desktop or laptop making it more accessible for business especially those with customer support team. The new WhatsApp allows businesses to use their landline numbers to register for the app. This is an improvement over the regular chat tool, as it allows only mobile number holders to register for the app. The integration is a step towards easy communication channels between supplier and customer where both are benefited. It is more likely to build a real connection with proactive messaging that’s personalized as well as strategically implemented. It will also lead the way in prioritizing customer experience. Many customers like to have proactive engagement if done rightly and the integration is a way to do it as it provides appropriate data for the same. It’s crucial to keep track of how customers experience as well as agents experience and how agents keep track of them. As whatsApp is associated with Facebook and Instagram, the company may also extend its integration with these platforms to cater to a larger segment and gain more market. The world is moving to artificial intelligence and giving a personal touch to customers experience could result in long term connection and loyalty towards the brand. Target Integration provides you the integration between Zendesk and WhatsApp. It helps you to implement and customize the application as per your business process and requirements.